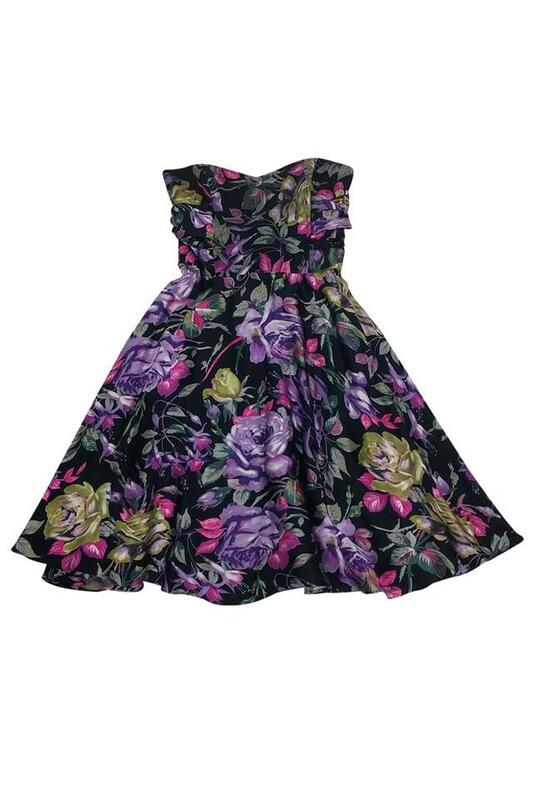 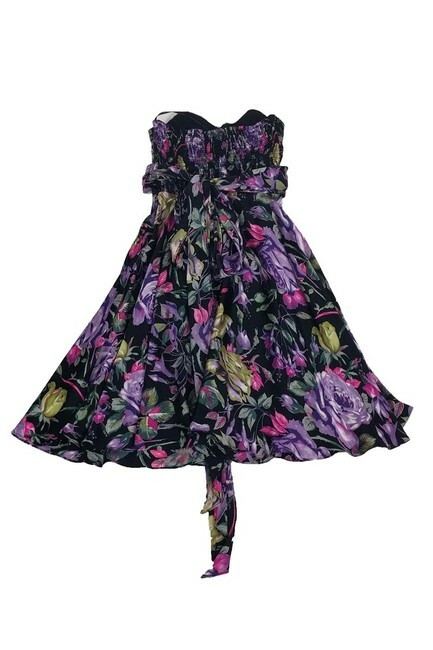 Charming day dress from Betsey Johnson. Made in a feminine strapless silhouette with a bold floral print. Style it with chic wedges.